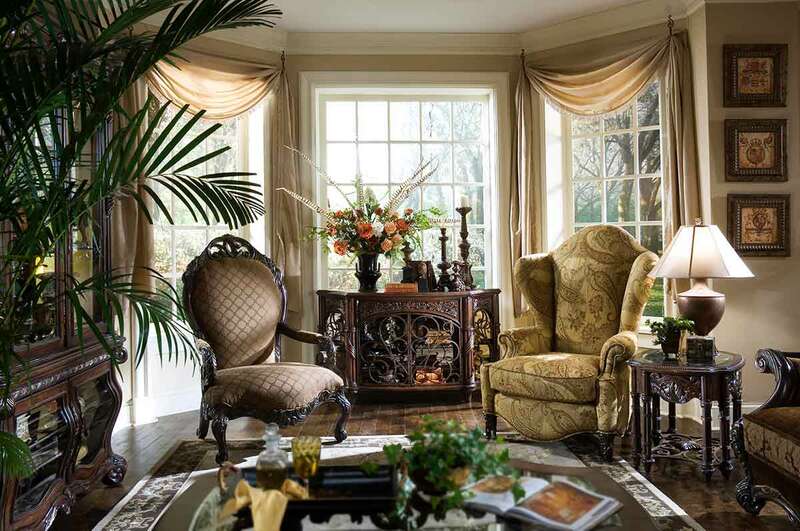 The genesis of this European inspired collection originates in the heart and soul of the British Isles. The British Isles typically include the islands of the United Kingdom of Great Britain and Northern Ireland, and Ireland, as well as numerous other smaller islands. This part of the world is steeped in history, and journeys through this region will result in numerous castle sightings, ruins, and remarkable architecture. With these lands as the backdrop and inspiration for Essex Manor, the collection is one that will bring images of grandeur, and wealth. 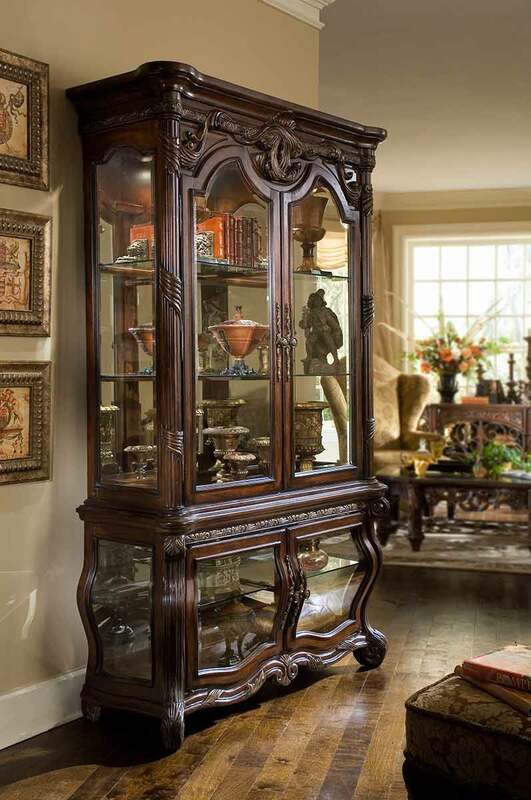 The detailed carvings and intricate metal designs enhance the rich finish that is aptly named Deep English Tea. 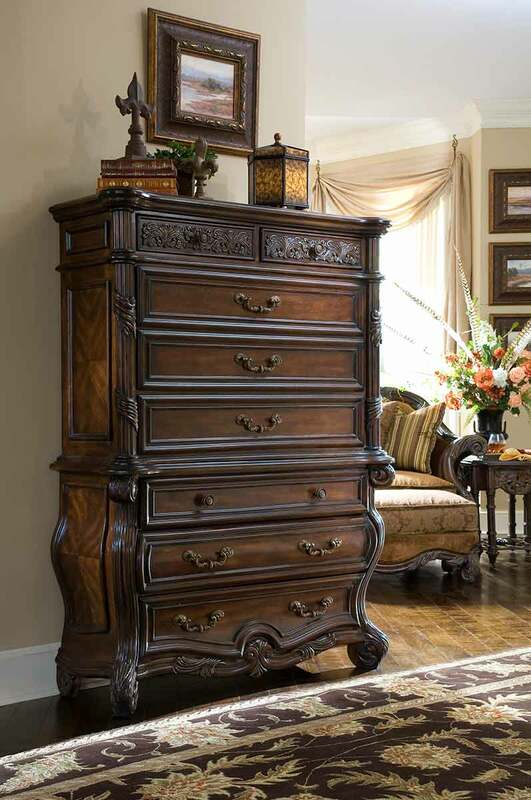 The dining room group	features a rectangular dining table supported by two very detailed metal pedestals, and lushly upholstered seating, while the bedroom group includes a lavish poster bed featuring shaped metal posts, and a handsome gentleman's chest. The occasional group unveils a barrel shaped end table unique to the line. 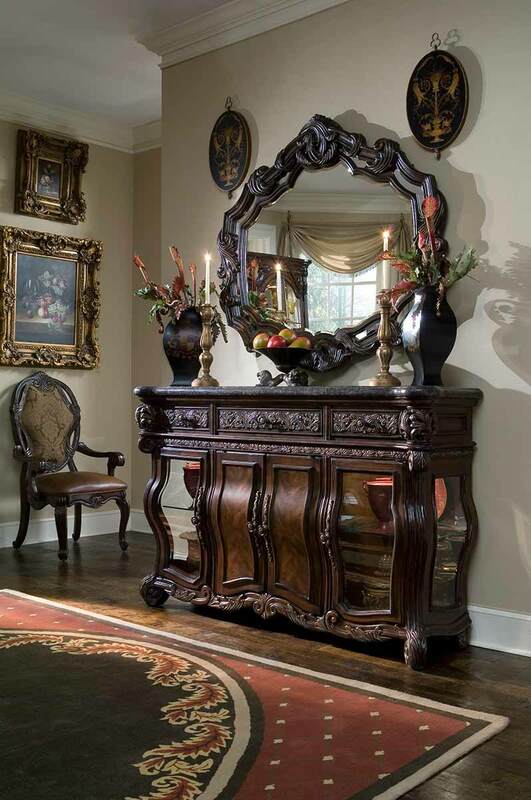 The detailed, signature leaf carvings are the focal point on the upholstery, occasional tables, dining room and bedroom. 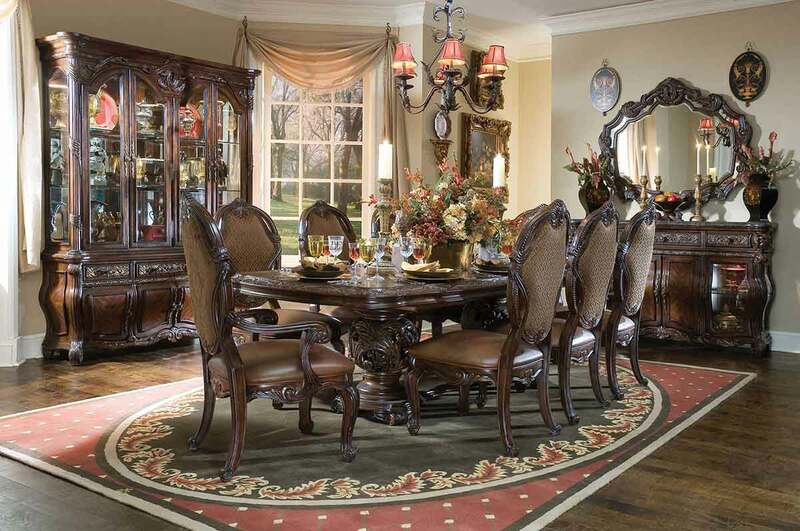 Constructed from Birch Solids, and topped with Birch and Cherry Veneers, this is a collection that is timeless.